At Living Hope, we are passionate about changing lives. In order to continue to offer health care to the sick people of our community, we need your help. By purchasing a light for R100, you become a visible reminder that we will are able to provide love and care to the suffering. All proceeds from your light purchase will benefit the Health Care Centre. Help us give hope by purchasing a light. By purchasing a light, you will help people in need of receiving dignity, hope, love and care. For every light that is purchased, Living Hope will shine a light at the Health Care Centre in Capri, for the whole month of December. We will switch the lights on at a special lighting ceremony held in our chapel and then celebrate the lives of those we have touched. So, how do you switch on hope? Click HERE to order or call 021 784 2800. You can purchase as many lights as you wish. 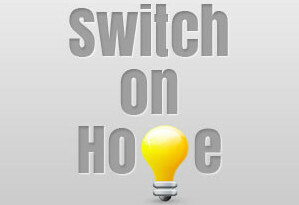 Please help us to switch on hope. The special lighting ceremony will take place on 2 December 2012 at Living Hope Capri from 18h00 to 20h30. We hope to see you there!